The Commandeur (“commander”) of Wärter who is opposed to Charlotte’s despotic regime over Mermaid’s residents. She started fighting without using an Arm as her partner, Hibiki, had been left in shock following an assault by a girl gang shortly upon their arrival on the island. 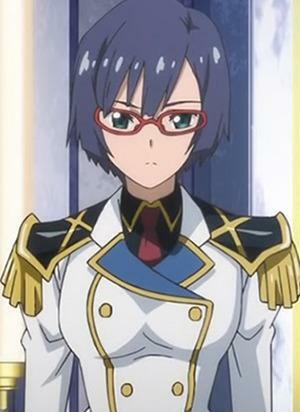 Rescued by Akira, she was appointed as the commander of the newly founded Wärter to restore order on Mermaid.